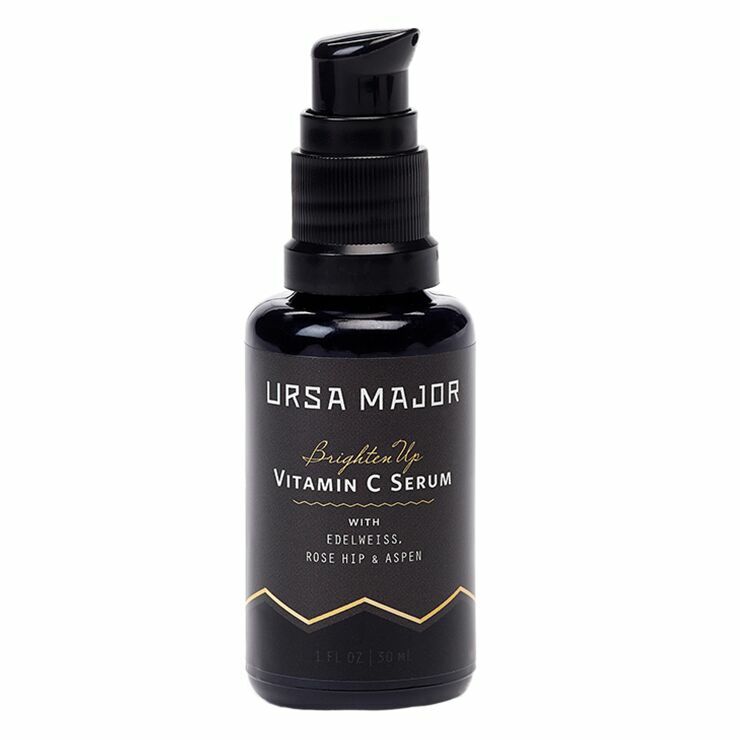 The Ursa Major Brighten Up Vitamin C Serum is a non-greasy blend designed to boost a look of brightness in most skin types. Brighten Up uses potent naturally derived l-asorbic acid with plant stem-cells and peptides to give a perked-up appearance to dull skin. Can be used alone as a lighter moisturizer, or with face lotion for maximum moisturization. Aloe barbadensis (aloe vera) leaf juice*, Helianthus annuus (sunflower) seed oil*, Glycerin, Cocoglucoside, Coconut alcohol, Populus tremuloides (aspen) bark extract, Ascorbic acid/orange/citrus limon/citrus aurantifolia polypeptide, Rosa canina (rose hip) seed extract*, Butyrospermum parkii (shea) nut butter*, Leontopodium alpinum (edelweiss) meristem cell culture, Hydrogenated lecithin, Glyceryl caprylate, Sclerotium gum, Rosa damascena (rose) flower oil*, Citrus sinensis (blood orange) peel oil, Rosmarinus officinalis (rosemary) leaf extract*, Bisabolol, Sodium anisate, Lactic acid, Xanthan gum.